Perma Robusta Custom Canvas Co. The Robusta can be mounted on the wall, soffit or roof. It opens or closes by hand crank, allowing sun or shade whenever wanted. All fittings are anodized extruded or diecast aluminum. Arm, cover and front profiles are all of extruded aluminum. The top tube is available in extruded aluminum. Add beauty and value to your home or office. 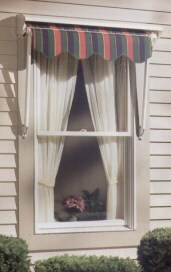 Safeguard interior of rooms from the sun's harmful ultraviolet rays. Available in virtually hundreds of crisp colors, elegant prints and striking patterns. 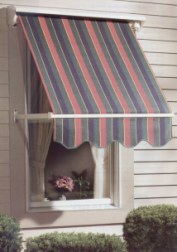 100% acrylic weatherproof fabrics are resistant to fading and mildew. Samples. 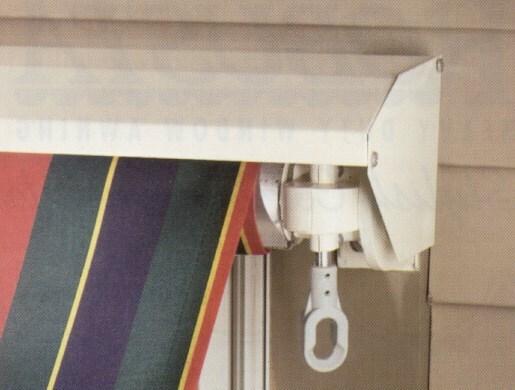 Concealed tubular motor, maintenance free, will extend and retract awning with a touch of the switch. 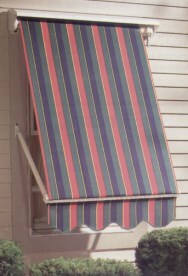 Awning extends when sun is shining and, if a storm or strong breeze rolls in, the awning will retract automatically. 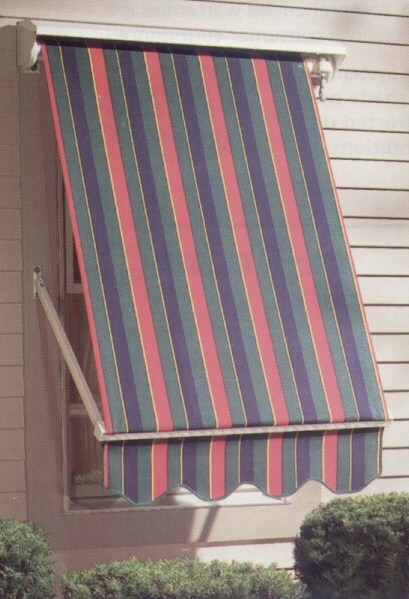 Made from anodized aluminum, it protects the awning fabric from dust, wind and rain when retracted. 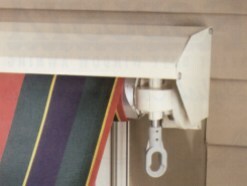 Several awnings may be connected together and be operated by hand crank or motor. 2 ft. to 5 ft.
Up to 65 ft. wide with hand crank. Up to 82 ft. wide with motor. Robusta Retractable Awning is intended for larger window areas on private homes, schools, office building and similar application. 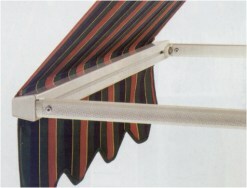 Retractable Arms Connected to the Front Tube. Available in any width up to 23' in one piece. Awnings available with projections from 2' to 5' in 6" increments. Available in virtually hundreds of crisp colors, elegant prints and striking patterns.